As most of you will know, the majority of time I wear my hair curly or in loose waves, but those are the product of a long and tiresome styling session with not one, not two, but three styling tools! Before having my hair bleached back in 2012, was blessed with pretty ringlets and tumbling curls when I left it to dry naturally and do it’s own thing (case in point). However, bleaching for just under three years completely ruined my natural curl, and instead left me with a frizzy, huge mane and no curls whatsoever. Hence why I’ve now gone back to a more natural colour! Now that I need a lot more help to achieve curls, I’m always on the look out for products that claim to put more bounce back in to them and most importantly, hold them in place. 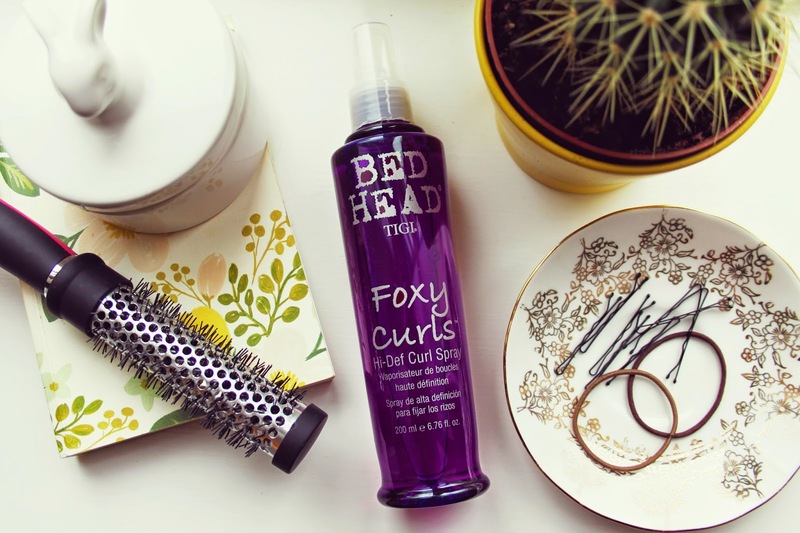 Enter Bed Head’s Foxy Curls Hi-Def Curl Spray! This is a multi use product that can be sprayed in to wet or dry hair for slightly different effects. Using in wet hair helps to style and give hold, whereas spraying on to dry locks gives definition. I prefer to use it on wet hair as I don’t tend to put products in once I’ve styled it (my hair is very fine and is easily weighed down by anything other than hairspray!). When I first used this I was honestly a little unsure. I sprayed a fine mist of the product in to towel dried hair and was a little surprised to find it felt sticky and even a little tangled almost straight away. I persevered with it though, and continued to blow dry as I normally would. 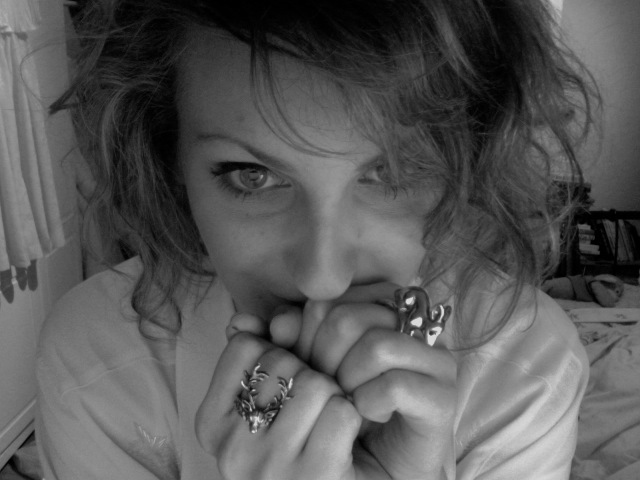 Once my hair was completely dry the stickiness had gone, so I set to curling with my Enrapture Totem Styler. I found that after using the Hi-Def curl spray, my curls were tighter and had a lot more hold than usual, so much so that I didn’t need to use any hairspray like I usually would! Even after brushing them out slightly to achieve a more natural look, I didn’t need to do anything else to them and even sleeping on them didn’t have the flattening effect it normally does! My curls were bouncy and shiny for a good 2-3 days before washing my hair again, and I’ve since used the product again with the same results. Very happy! 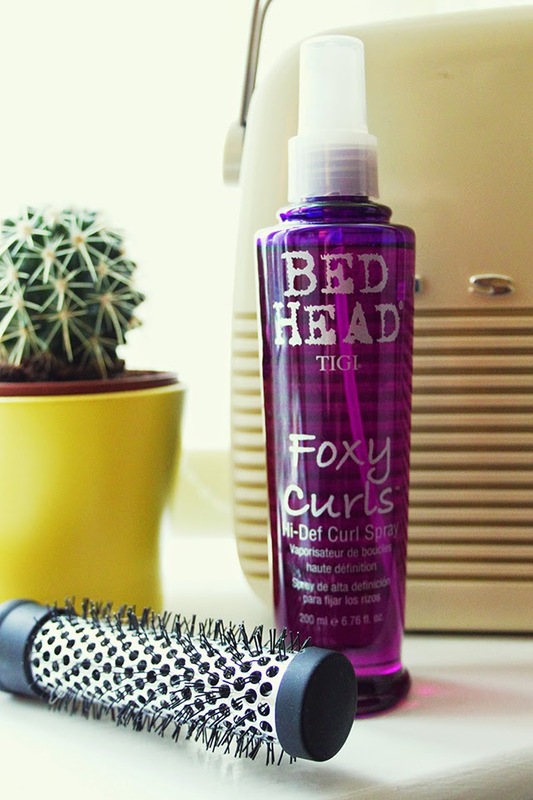 I would definitely recommend this product if you’re trying to achieve the perfect curls. It’s pretty much the only product you’ll need! I'd love it if you could check out my blog and let me know what you think! This sounds amazing and I might need to try it for my hair.